On the outside looking in, it's just a lunch and a dance. Oh, but it's so much more. For these 42 dads, it's a chance to connect with their daughters. At NFI, we're inspired by these stories. Watch the video and see how the Indianapolis Re-Entry Facility is connecting fathers to their families. The father absence crisis in America and Fathers Behind Bars posts have hopefully helped you see the problem and solution to some of the fatherlessness in America. IT's not often that we get the real-life stories behind the statistics. We try to make you aware of the stories when possible. This special afternoon was for 42 fathers and their daughters at the Indianapolis Re-entry Educational Facility. 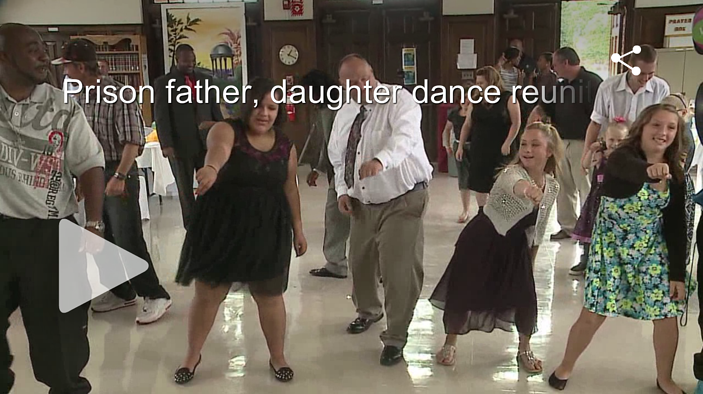 Writing for WISHTV.com in Indianapolis, Howard Monroe shows how a Prison Father-Daughter Dance Reunites Family. He writes, "They (fathers & daughters) got the chance to have an uninterrupted conversation, lunch and dance at the second annual Father-Daughter Dance." All the fathers attending the dance graduated from NFI's InsideOut Dad® program, our fatherhood training which teaches dads how to be better fathers. “I’m just thankful I’m able to enjoy this moment with my daughter,” said Brandin Pannell while eating with his daughter. “It’s beautiful. First dance, first time I wore a suit, so it’s beautiful, it’s a blessing." Watch the video and you will hear, “They get to see me in regular clothing, so I don’t look like a criminal,” said Phillip Ellingwood, who was able to attend the event and see his two daughters. “I can actually be a father to them instead of being a guy they come see every week,” said Ellingwood. 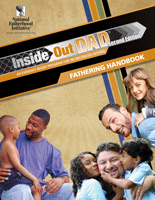 At NFI, we're thankful to the organizers and volunteers who not only care enough to lead dads through our 12-week InsideOut Dad® Program, but also care enough to make graduating from the curriculum a life-changing memory. “This is sort of the first step with the relationship with their daughter, and so when they leave their relationship continues,” says Ericka Sanders, who organized the event. WISHTV reports that this Indianapolis Re-Entry Facility is the only one in the state that hold dances for graduates of the program. However, the organizer is working with other re-entry locations to bring the dances there. We look forward to more stories like this one.